IT WAS THE section championship that seemed like it would never end, and then somehow, close to Mid-day on day four of a three day 54 hole championship it finally did. It was the championship that saw it’s 12 time winner, walk away and WD after 36 hole, when he learned that the 54 hole championship could not be finished in three days. 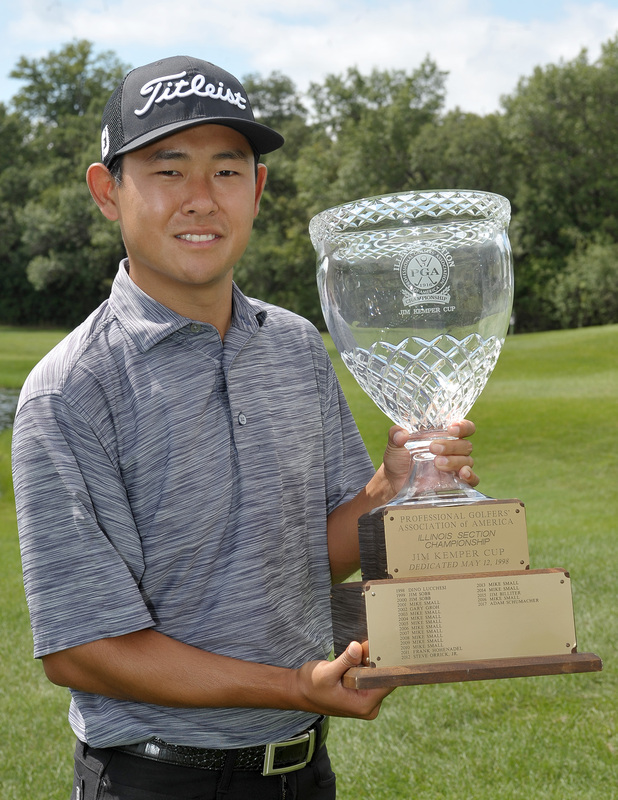 When the smoke and dust settled, or the rain stopped and wet grass and sandy bunkers finally fried up a bit, Twin Orchard Country Club assistant professional Dakun Chang had wonhis first Illinois PGA Section Championship. Chang and the other members of the final group had eight holes to play when day four started at Stonewall Orchard, when 54 holes were completed, there was still more golf to be played. In fact three more holes worth of golf. When Chang and Brian Carroll of the Royal Fox Country Club headed to the third tee box, hole 55 was about to begin. The Par 5, 3rd hole, the Par 3, 17th hole, and the Par 5, comprised the holes of the three hole aggregate playoff that went Chang’s way from the start. On the first hole after Carroll found a fairway bunker, he settled for bogey and Chang made birdie to take a two shot lead. Both players the second hole, before Chang made birdie on 18, while Carroll again settled for bogey. Chang winning by four shots with a 4-3-4 to Carroll’s score of 6-3-6. One can only wonder what might have happened if the 12 time winner of the Illinois PGA Section Championship, University of Illinois golf coach Mike Small did not have to WD after 36 holes. Small was only one shot behind Chang and seemed to be heating up, after two straight rounds of 70. Small was not alone in his WD, as numerous other players had to hang it up after 36 holes, or almost completing 36 holes. Most of those players however were not in contention to win, or possibly even make the 36 hole cut. The 26 year old native of Ashville North Carolina, won $11,200 for the victory. 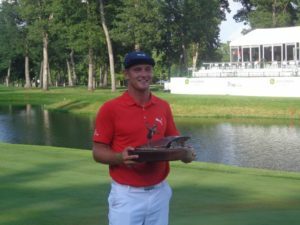 Carroll’s chances came to an end on the third playoff hole when his approach shot from 295 yards turned-over into a pond. “I just hammered it too far left,” said Carroll. Curtis Malm of the White Eagle Country Club was third at two-under par, while Chris Green, Mistwood’s Chris Ioriatti and Medinah’s Travis Johns all tied for 4th place at 1 under par. Johns fell back after being in second place, but his final found of 74, was not helped by a double-bogey on the Par 3, 5th hole. 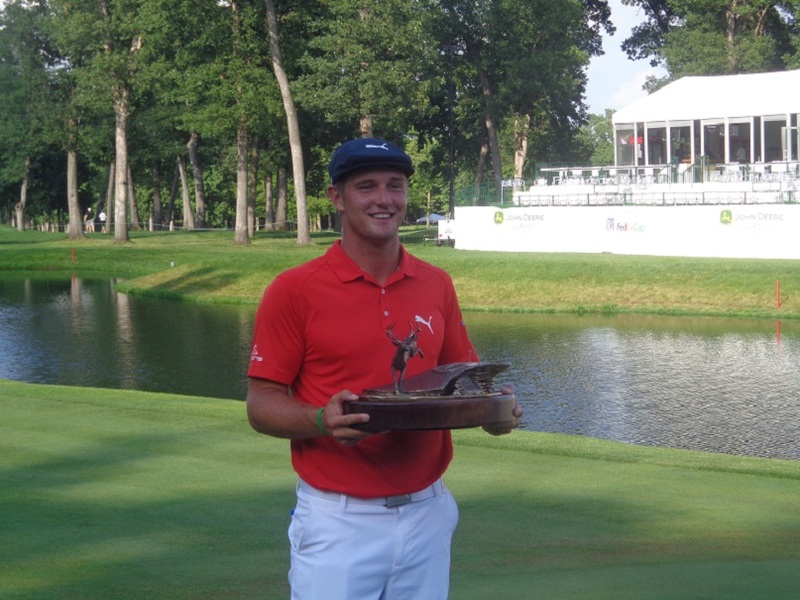 In addition to the above mentioned players, Matt Slowinski of Hinsdale CC, Steve Orrick from the Country Club of Decatur, Roy Biancalana from St. Andrews G&CC, Luke Hemelstrand and Tim Streng all qualified for the PNC in South Carolina in 2019, and a chance by finishing in the Top 20 positions there, to play at Bethpage’s Black Course in next May’s PGA Championship. The Gog Blog by RORY SPEARS, Director of Content and Creation, follow Rory on Twitter @GogBlogGuy, and on Facebook, Linkedin and now Instagram. On the 17th hole at the new Sage Run Golf Course in Harris Michigan. IT’S BEEN WET AND SOGGY, the 97th Illinois PGA Section Championship has been fighting the weather for the first two rounds of the tournament. 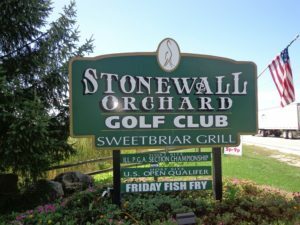 Round 1 saw the field of 120 players needing to play Lift-Clean and Place from shots landing in your fairway, when weekend rains left Stonewall Orchard a bit on the soft side. Round 2 had to be delayed 2 1/2 hours when heavy rains and lightning hit the Grayslake area around 6:30 AM about 45 minutes before the first group was to tee off. Play then continued through out the day until a second lightning delay struck the course at 5:14 Pm, that soon also turned into a rain delay as well. At 6:30 Pm play did resume for another 1 hour and 10 ten minutes that allowed a majority of the groups to finish, including the leaders University of Illinois golf coach Mike Small, and partners Medinah’s Travis John’s, White Eagle Country Club’s Curtis Malm. Co-leader Dakun Chang finished only 9 holes but was tied with Small at 4 under par. 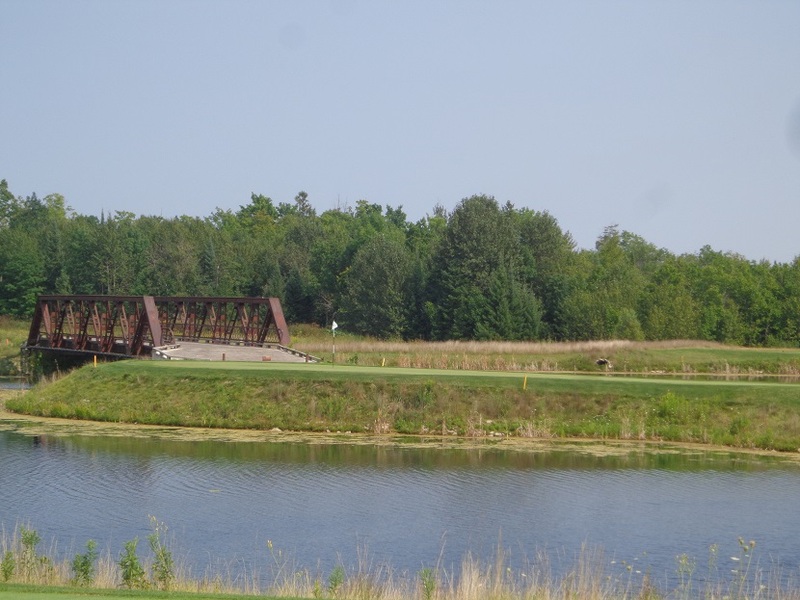 The Stonewll Orchard golf club, home of the 2018 Illinois PGA Section Championship. A public course you can play. 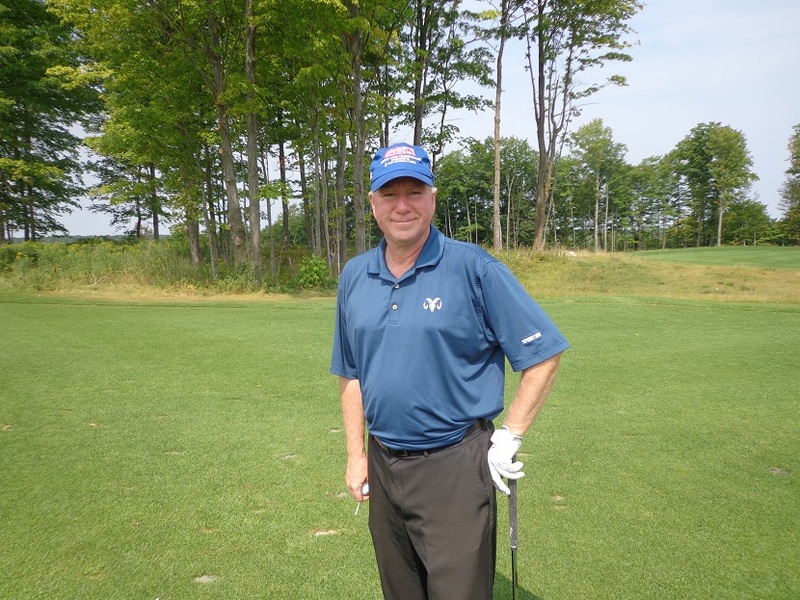 Prior to the second delay the leader in the clubhouse was relationship coach, reverend and golf pro Roy Biancalana. Whose last IPGA major championship win was the 2001 Illinois Open at Royal Fox. Biancalana shot one over par in Round two, but was at one under par for the championship. Biancalana who has played only 8 competitive rounds in 8 years, told the assembled media he was tired after a long day in the humid, windy and soggy conditions. Finishing just before darkness closed in for the day to end play, the group of leaders made it into the clubhouse. Play was called for the day due to darkness at 7:30 PM. The final group putted out at 7:35. Click here to hear interviews with Roy Biancalana, Travis Johns and Mike Small. Round 3 start times are yet undetermined, due to heavy rains in the area on Tuesday night. THE GOG BLOG by RORY SPEARS, Director of Content and Creation, follow Rory on Twitter @GogBlogGuy, Facebook, Linkedin and now Instagram. 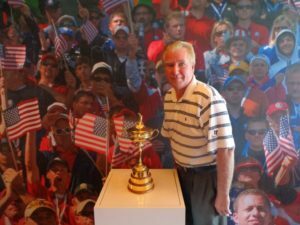 With the Ryder Cup during the trophy tour. THE WIND made it tough in Round 1 of the Illinois PGA Section Championship at Stonewall Orchard. But it did not stop Wildcat Academy professional Tim Streng from taking a one shot lead over 7 players, as Streng opened with a 3 under par 69. Streng admitted that the section championship is one tournament that he would like to win. To more 69’s might just get it done for him. Welcome to Stonewall Orchard home of the 2018 Illinois PGA Section Championship. Among those in close pursuit is 12 time champion University of Illinois golf coach Mike Small, who headed up the pack at 70 (-2). Small called the wind a factor in Round 1, but said he will be ready for round two, and that he needs to make a few more putts. 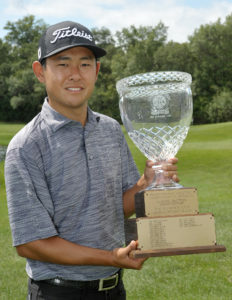 The remaining players at 2 under par, included Dakun Chang, two time runner up Curtis Malm, Brian Carroll, Rich Dukelow, the Medinah teaching pro who is playing hurt with a rib injury suffered just 2 1/2 weeks ago. Roy Biancalana and Kurt Rogers were the others. Defending Champion Adam Schumacher of the Indian Hill Club, had an interesting round. With his front nine finishing bogey-bogey-double bogey-double-bogey. Then he carded a 32 on the back nine to finish at 3 over par. Schumacher is T-28 and well inside the Top 60 and ties cut line leading into the second round. Stonewall Orchard is playing to a Par of 72 and the yardage for Round 1 was 6,935 yards. In addition to the section championship this week, players are competing for a trip to the Professional National Championship in South Carolina next spring, where the top 20 finishers will earn a trip to the 2019 PGA Championship that will be played on the Black Course at Bethpage State Park next May. THE GOG BLOG by RORY SPEARS, Director of Content and Creation. Follow Rory on Twitter @GogBlogGuy Facebook, Linkedin and now Instagram. On the 17th hole at Sage Run in Harris Michigan. 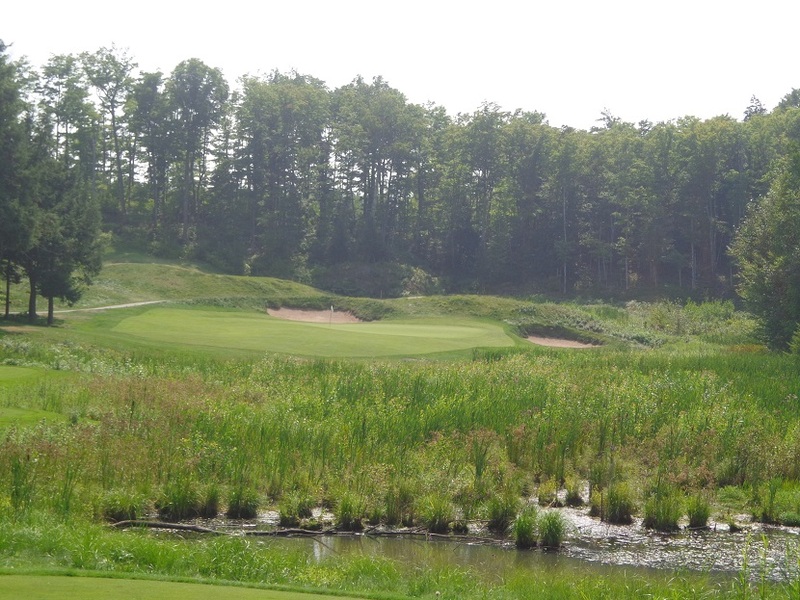 IT’S NOT OFTEN these days that a brand new golf course gets built, but in the case of Sage Run in the Upper Pennisula of Michigan, that’s exactly what has happened, and golfers are better off for it. Sage Run is part of the Island Resort and Casino in Harris Michigan, and it’s the second course that the resort has opened this decade. There is no doubt that golf has really added something to this destination. If the resort wasn’t a destination before, it is now. About eight years the resorts first course called Sweetgrass opened up, it was designed by architect Paul Albanese. 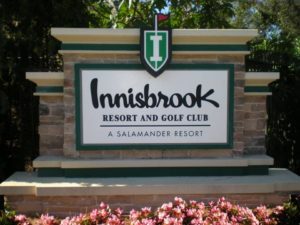 Since Sweetgrass a course you could say is very manicured, received great reviews by golfers, the resort invited Albanese back to try his hand at a second course. 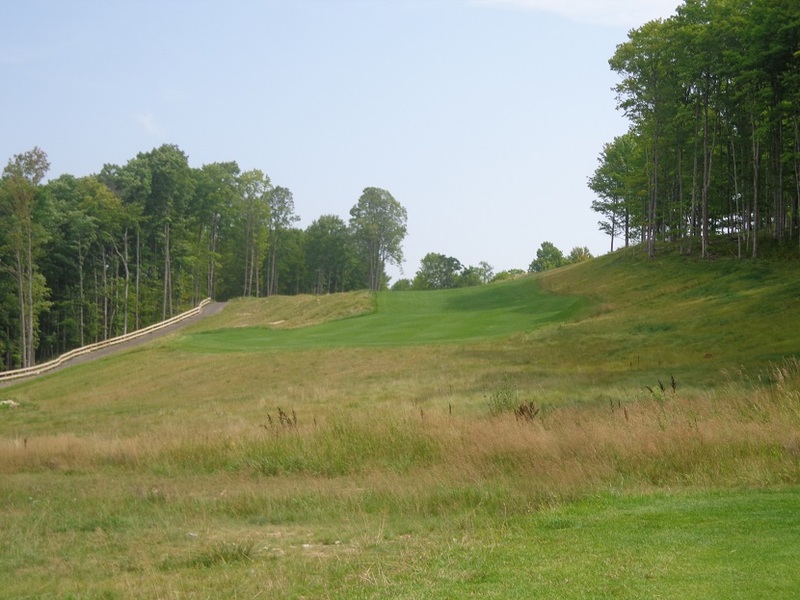 The sequel to Sweetgrass is Sage Run, a course that has plenty of elevation change, and has a face that hasn’t seen a razor in a few days, or maybe a week or more. Scruffy is the design, with wiry grass that is thin in some places, and thicker in others. As is matures and grows in, there will be times the resort will need to dig in and cut it back. THE PAR 5, FIFTH HOLE (L), and the UPHILL PAR 3, FIFTH HOLE start to give the golfer a little bit of what they are in for at Sage Run. 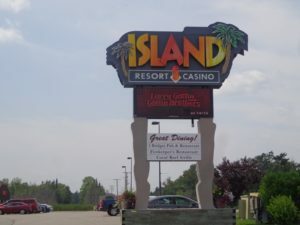 The Island Resort ownership has several parcels of the land in the area around Harris, and when they decided to build a second golf course, Albanese had his pick of multiple sites to pick from. What he and his team decided on, was the use of a Drumlin (a high ridge of ground) to build the golf course on. Sage Run still has some growing in and maturing to do, but in places it has a little bit of an Erin Hills look to it. 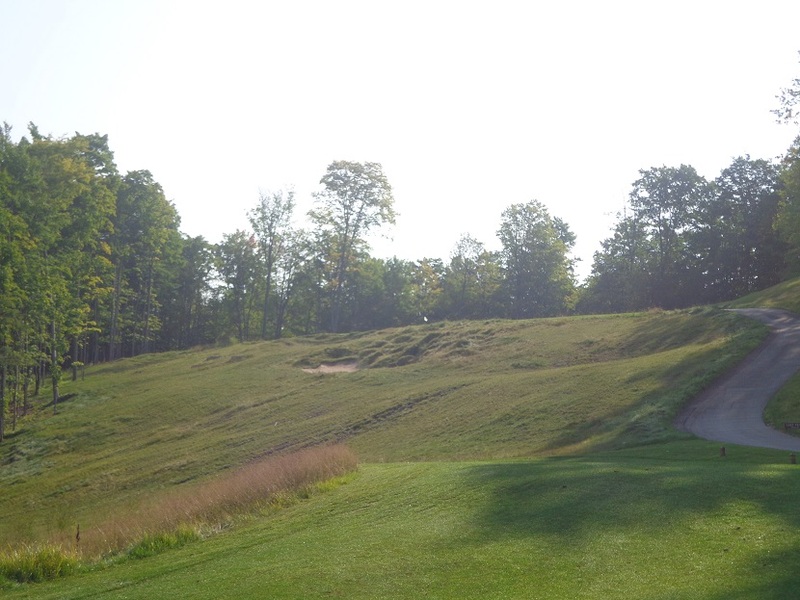 That doesn’t mean Mike Davis and the USGA will be rolling in with the U.S. Open anytime soon, but it does provide an interesting round of golf for resort guests, other visitors to the UP of Michigan. THE SHORT PAR 4, 7th hole is a great risk-reward, over the bunker and surrounding scruffy area, and the signature par 4, uphill, really uphill, 16th show off what a Drumlin really is, and it plays out on a golf course. Sage Run is not all uphill, see the Drumlin allows for some serious downhill holes as well. THE VIEW DOWN on the Par 4 15th hole, has a tee shot that rivals a similar one on the Par 5, 18th hole. 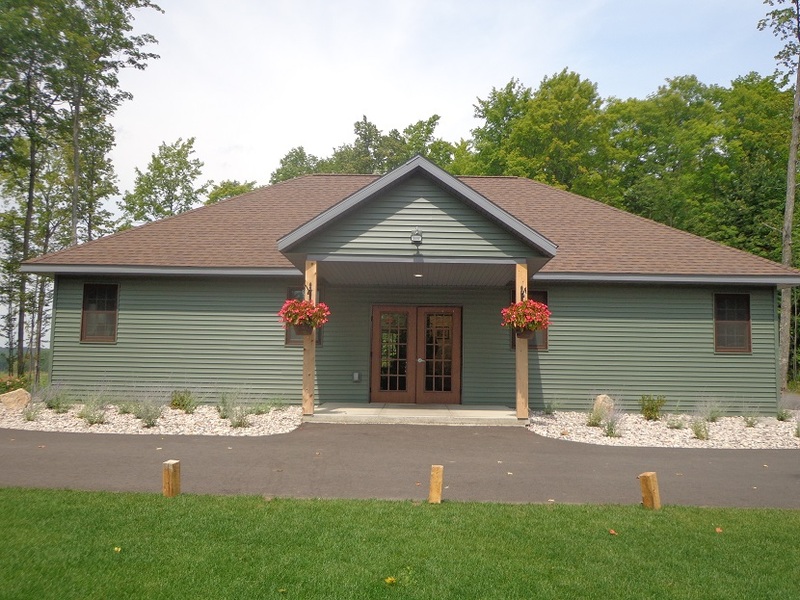 The Sage Run Clubhouse isn’t big, but comes complete with a cozy grill, patio area, and well stocked pro shop. 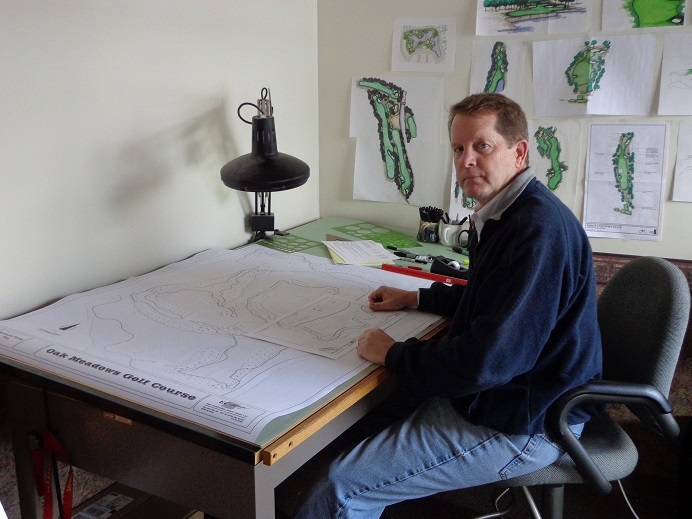 Click here to hear the interview with architect Paul Albanese, who designed both courses at the Island Resort and Casino. THE PAR 3 12TH HOLE is complete with a Biarittz style green, while the Par 3, 15th hole is an island green, with a shot over water, before golfers get to take their carts across the former railroad bridge and drive right up to the side of the green before putting out. Both of the Island Resort Courses have nice practice area’s, even though the putting green at Sage Run, still needs just a little bit time to mature before it’s totally ready. 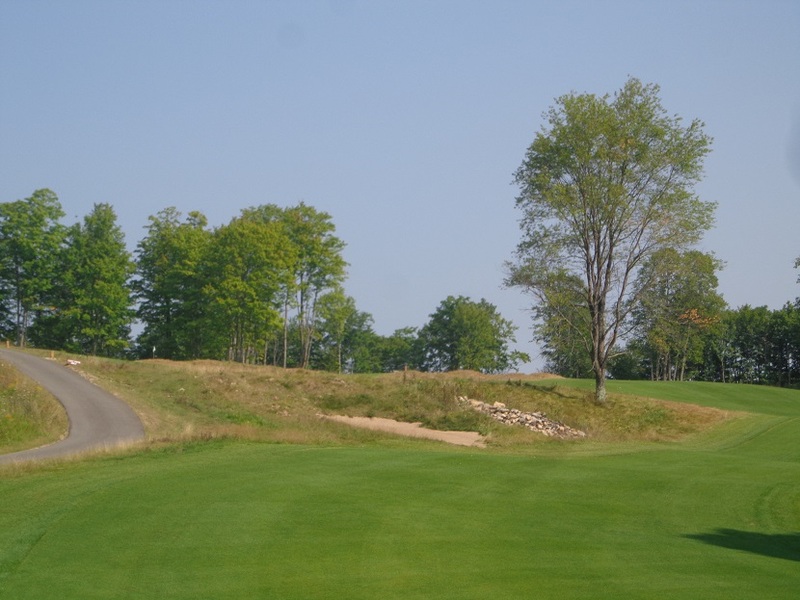 If your ready for a fun time, and you have worn out the roads heading around to the big side of Michigan, and all those great courses, why not try the UP side. It is a little quieter but it has plenty to do. The Island Resort and Casino offers not only two golf courses, and instruction headed up by Director of Golf Dave Douglass. But the resort comes with one of the larger casino’s you will find outside of Las Vegas or Atlantic City. There is a spa if you need even further relaxation or the post round massage. 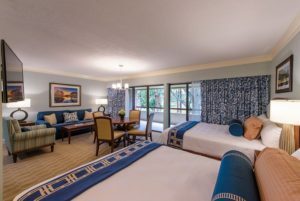 There are plenty of restaurants to choose from, starting with Firekeepers for breakfast (good Omelets) to start your day, the sports bar restaurant or the steakhouse, all make wonderful options. 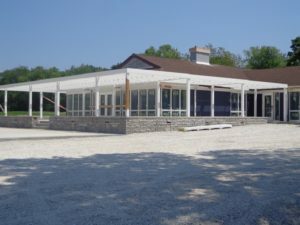 The grill at Sage Run is perfect for things like burgers, brats or hot dogs off the grill, or sandwiches inside. If your not ready for the casino but still like to gamble, the resort comes complete with it’s own Bingo parlor. There is a Theater that hosts name entertainment acts almost all year round. There is a pool and other outdoor activities year round, with other options if your travel there in the colder months. There is other good public golf within an hour of the resort, if you wish to play additional rounds. Golf is very well priced on this side of the lake. Golfers on Golf Radio is L-R, Ed Stevenson, Bill Berger and Rory Spears, back today for another week of golf talk. 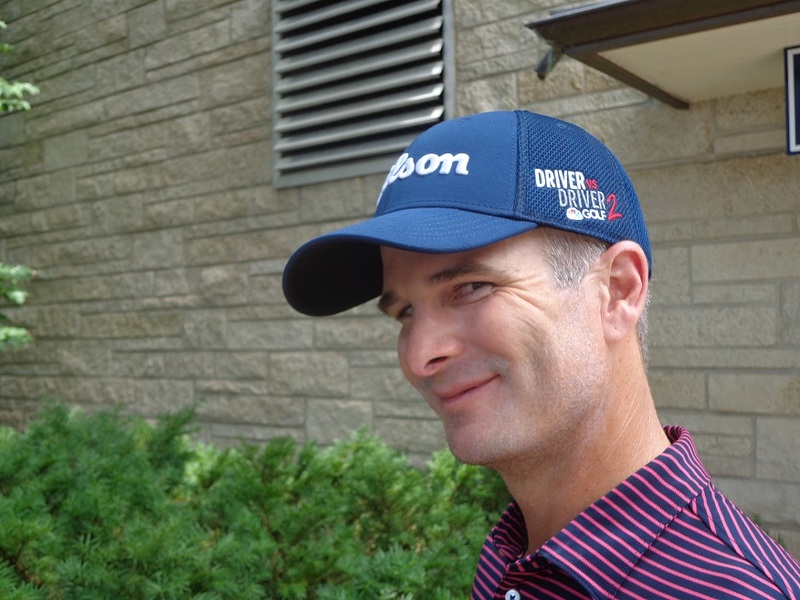 IT’S Week 20 for Golfers on Golf Radio, that tee’s off at 10 AM on Am 750 WNDZ Chicago. Join Ed Stevenson, Bill Berger and Rory Spears for another week of golf talk, with a Chicago flavor for an entire hour from 10-11 AM. This weeks guests include Sunset Valley Golf Club GM Ryan Ochs, who talks about the recently reopened golf course, after a 14 month Rick Jacobson renovation. Sunset Valley is part of the Highland Park Park District. 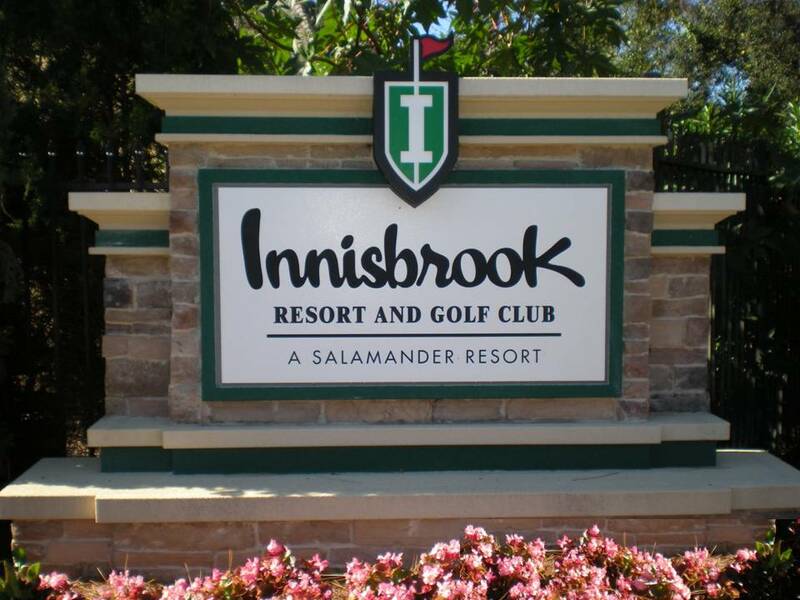 Michael Williams the managing Director of the Innisbrook Resort in Tarpon Springs Florida, will tell us about the major course and room renovation at the Florida based resort. 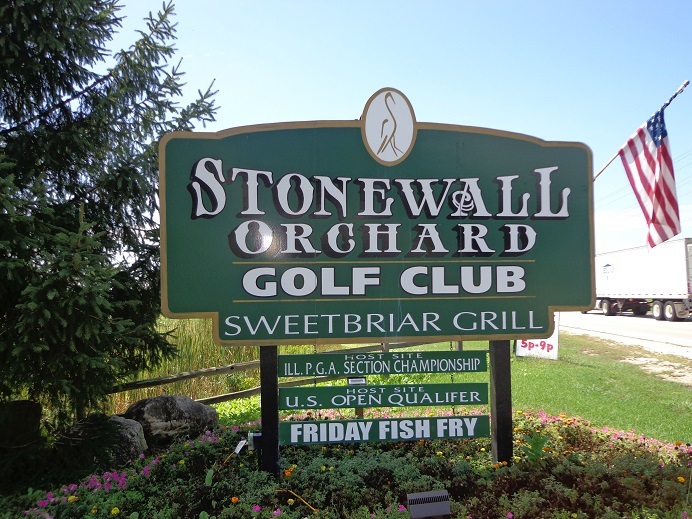 Jeff Pajula the head golf professional at the Stonewall Orchard Golf Club in Grayslake, talks this week’s Illinois PGA Section Championship at Stonewall Orchard, and the upcoming Birdies for Charity Fund-Raiser put on by the IPGA. 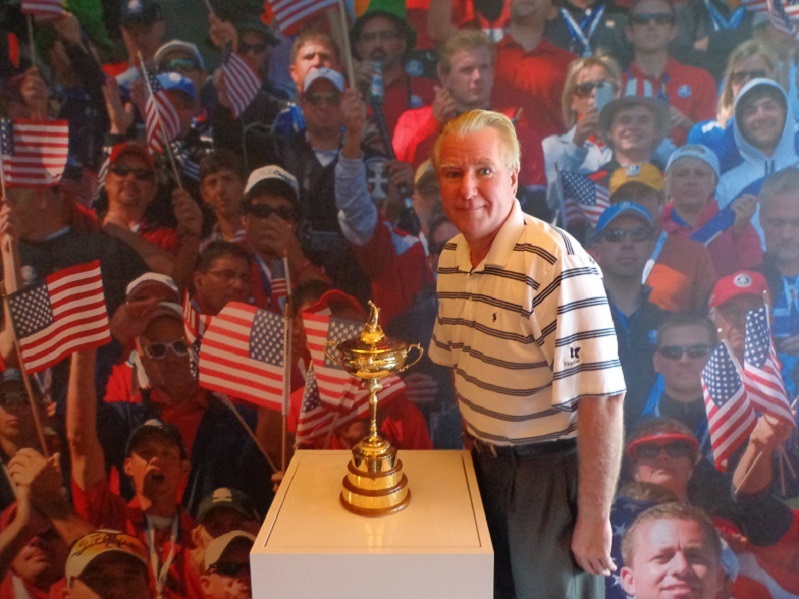 FYI…The Ryder Cup will onsite at Soldier Field today during the Bears-Chiefs game, as part of the trophy tour. RIP..former PGA Tour professional Bunky Henry who passed away this week at age 76 from complications of a heart surgery. Henry had been working at Reynolds Plantation in Georgia. Henry was Rory’s playing partner in his only round at the famed Oakmont Country Club near Pittsburgh. THE GOG BLOG by RORY SPEARS, Director of Content and Creation. Follow Rory on Twitter @GogBlogGuy and on Facebook, Linkedin and now Instagram. On the 17th hole at the new Sage Run Golf Course. Photo by Kevin Frisch. 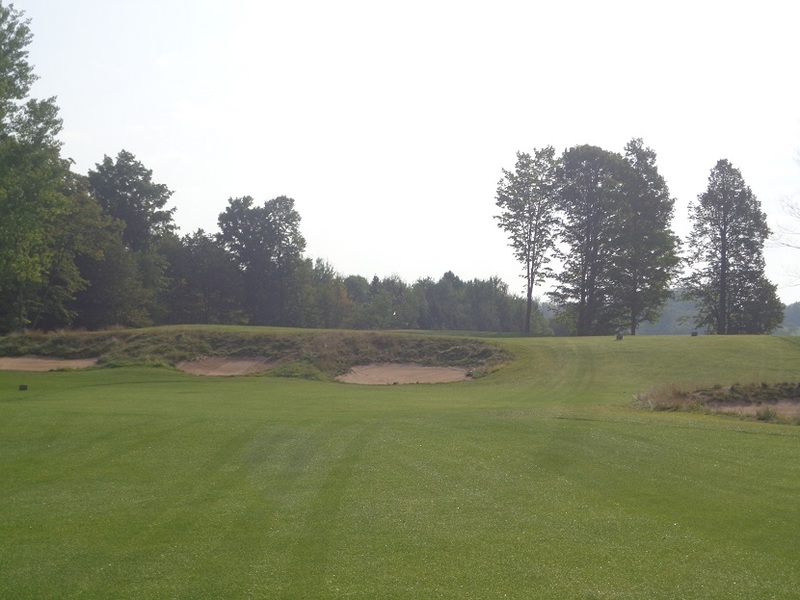 It was really nice to make the trip north to the Upper Peninsula of Michigan, and play some golf courses that I had never played before in this past week. By virtue of playing Greywalls at the Marquette Golf Club in Marquette, and the newly opened Sage Run golf course part of the Island Resort Casino, and the original golf course at the resort, Sweetgrass. I added three new courses to my list of courses played. That was the final three courses I need to reach 500, different golf courses played. It only took me 45 years to do it, but so be it. I’ll celebrate again if I get to 600 someday. When I learned at the start of the golf season here up north, that after the winter trip down south that focused on the PGA Merchandise Show with golf on the way down and back, that I was at 494 courses. I knew this year I had to make the 500 mark. That was before I found that I had an eye infection, and then Cataracts, that were causing me to lose my vision. Since it was so hard to see this summer, my golf was limited. The good news is, is that the infection is gone and I have had one laser cataract surgery already, and my vision is much improved. I’m back into the hospital this week to get the other eye done. At that point things should be really looking good. Frenchlick.com French Lick Resort home of the Pete Dye, Donald Ross and Valley Links Golf Courses. Once done with both eye surgeries I’m looking forward to teeing it up a little more often until the snow falls. 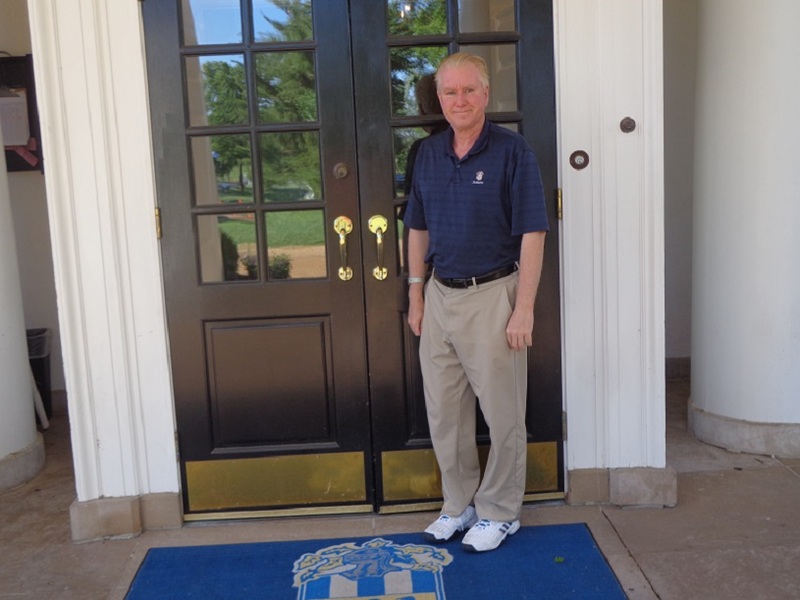 My drive to 500, saw me play #495 at the Sunset Ridge Country Club in Advance of the Western Amateur. #496 at Ravina Green Country Club before the Illinois Open with defending champion Patrick Flavin. #497 with Len Ziehm at the Players Course 9 recently renovated at the Schaumburg Golf Club. Then #498 at Greywalls, #499 at Sage Run and finally #500 at Sweetgrass. I played all 18 holes that day with Ziehm and LZG photographer Joy Sarver, who captured me on film with course architect Paul Albanese who joined us for the back 9 on Sweetgrass. Sweetgrass was a nice and fun course to play #500 on my score wasn’t great, due to several lip-out’s, including the full 360-ringer on 18, that denied me a closing par. After putting a lot into the final drive to 500, I’m glad it’s done. Now I’ll work on finding a few new courses to add to my personal Top 100 courses I’ve played list. I have already posted a story on Greywalls and Marquette GC this past weekend. This week I’ll have more on the two Albanese courses at the IR&C. I’M REALLY SURPRISED that there was not more attention to the best round of golf in 2018 played on the PGA Tour. Brandt Sendeker shot 59 in the first round this past week at the Wyndham and held off late charges by a few players to go wire-to-wire and win yesterday. It was good to see former U of I guy DA Points (T-4) have a good tournament, along with tour rookies Arlington Heights Doug Ghim (T-20) and U of I alum and 2016 Western Amateur Champion Dylan Meyer (T-36). THIS WEDNESDAY the media finally gets a look at the recently reopened Sunset Valley GC in Highland Park, I know some public golfers played it all weekend, but our preview stories will be out later this week on the architect Rick Jacobson renovation. 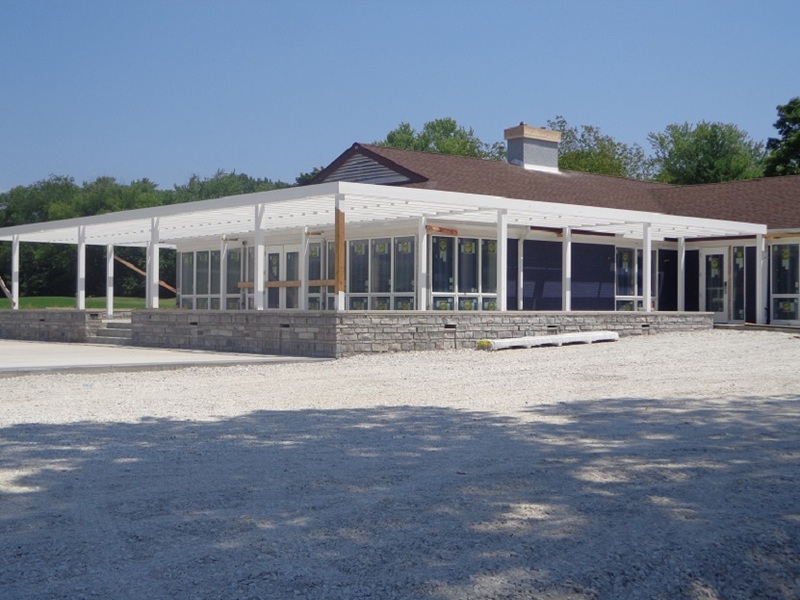 LAST FRIDAY Chicago Tribune columnist Eric Zorn wrote a piece on the Jackson Park South Shore project, after speaking with Golf Chicago Magazine founder Bill Daniels and architects Greg Martin and Mike Benkusky. All three parties suggested an ulterior idea for the golf course. With a less than 10 million dollar price tag, there could still be plenty of improvements made, and kept affordable for the local clientele. Zorn suggesting the Chicago Park District take a mulligan and start over. With the headline suggesting to forget about Tiger Woods and his design team. Not a bad idea. THE GOG BLOG by RORY SPEARS, Director of Content and Creation, follow Rory on Twitter @GogBlogGuy. 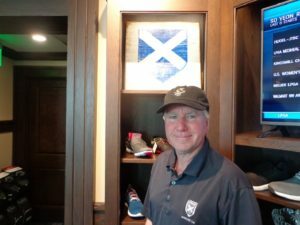 In the pro shop at Mistwood Golf Club. 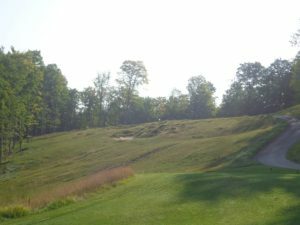 If you are headed to Michigan to play golf, there are plenty of great courses to play, and I don’t just mean the private courses. 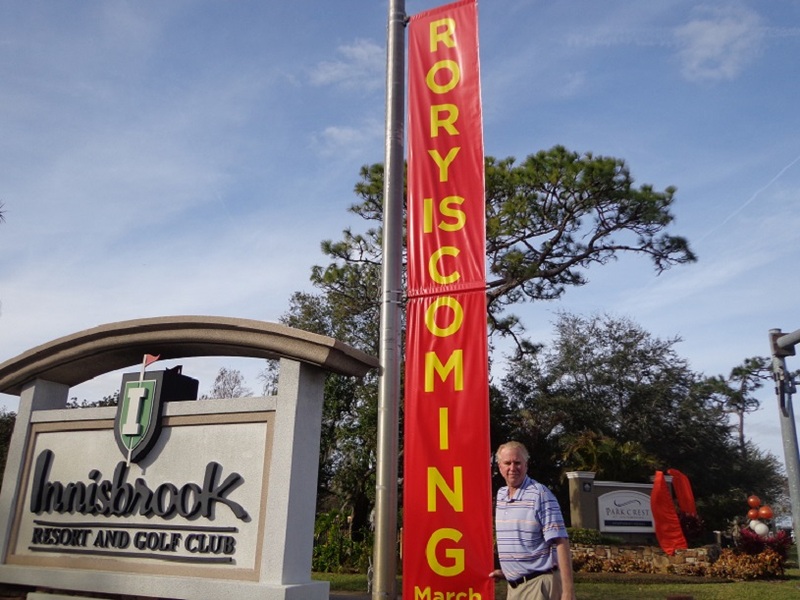 Public and resort courses are very good all over the state. 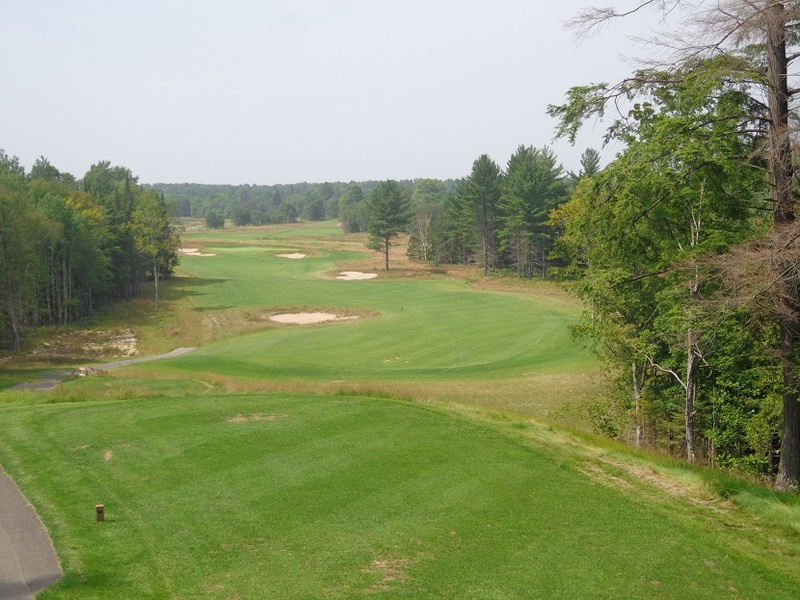 Many of them are in the main part of the state, but now there are is a growing golf presence in the Upper Peninsula of Michigan. 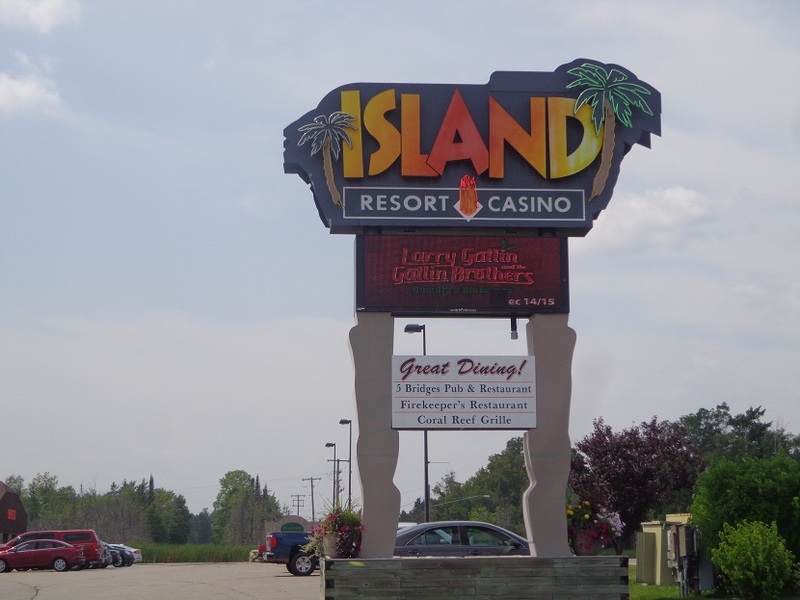 While the Island Resort and Casino in Harris Michigan has just built the new Sage Run, by Paul Albanese, there are some established properties in the UP as well. The Marquette Golf Club opened in 1926, with the design of it’s Heritage Course, still in play today. The course was designed by the famed Chicago based architect William Langford. 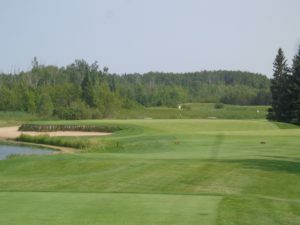 The course was expanded in later years by David Gill. 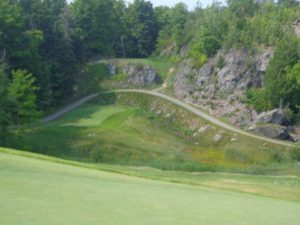 The second course it’s modern design is the now famed Greywalls Course, named for it’s gray shale rock walls that line several of the holes. Greywalls has some great elevation changes on the property. While this summer it’s colors have changed just a small bit to brown in some places because of higher heat than normal, and a lack of rain. 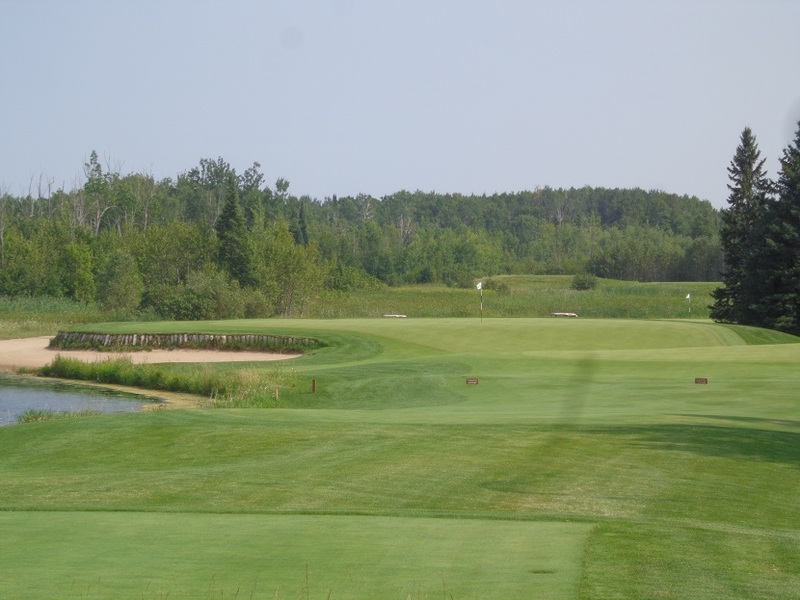 But that still doesn’t change the design created by Mike DeVries who did an outstanding job, while sticking to working within a tight budget to get the golf course built. 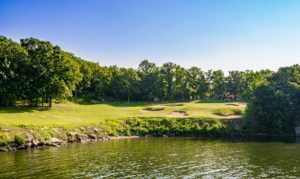 Greywalls built in 2005, now has a #2 Best in State you can play rating from Golfweek Magazine as of 2017. GREYWALLS the Par 3, third hole (L), and the from on the green the Par 3, sixth hole looking back to the tee boxes surrounded by Greywalls. 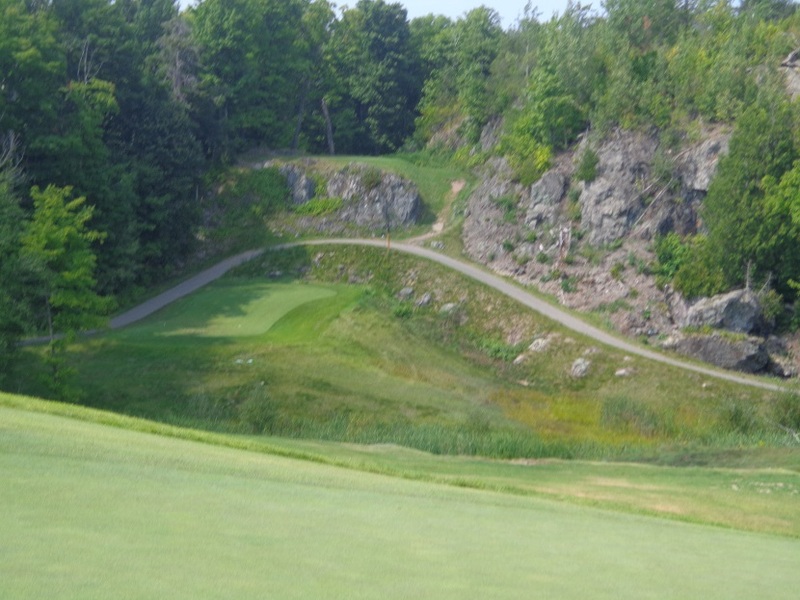 The elevation change to the green from the tee box, provides for a challenging tee shot. While there are some forced carries, they are not extreme, especially if you do play to the proper tee box yardage, that works for your handicap. Several of the tee boxes do have some elevation to them, that will help give your golf ball some carry on the tee shot. The fairways do have some challenging but in many cases fun undulations in them There is the feel of playing some of the more well known mountain courses when you try to hit from uphill or downhill fairway lies. If your looking for a big fancy clubhouse because of the clubs high rating, forget it. The pro shop is not big and the grill building is perfect for a seasonal Northern Michigan golf club. 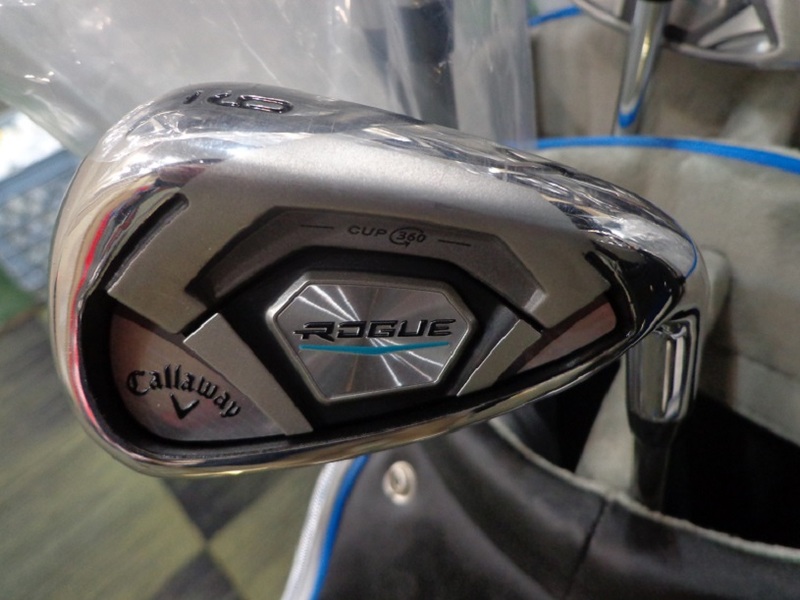 But they are cozy and provide everything golfers and visiting golfers could need. 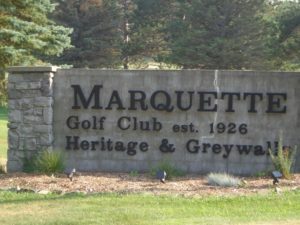 If you find yourself in Michigan’s UP and are looking for some good golf, drop by the Marquette Golf Club, two courses to pick from. See Golfgreywalls.com or call (906)-225-0721, for an enjoyable day on the course in Michigan. Golfers on Golf Radio L-R Ed Stevenson, Bill Berger and Rory Spears. It’s Week #19 (already) for Golfers on Golf Radio, Am 750 WNDZ-Chicago. 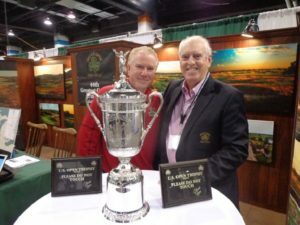 Our tee time this morning is 10 am, and the hosts Ed Stevenson, Bill Berger and Rory Spears, are looking forward to another week of Golf Talk, with a Chicago flavor to it. 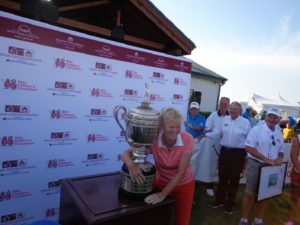 A great golf destination that Chicago golfers enjoy is Erin Hills in Erin Wisconsin, that played host to the 2017 U.S. Open (where the game of golfs hottest player Brooks Koepka got his start in winning majors). 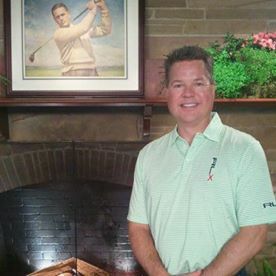 We will talk about Erin Hills, and what’s being happening there since the open with Erin Hills PGA Ambassador Rich Tock. We will discuss what’s new in 2018, and what could be future of Erin Hills with Rich. Learn more at At Erinhills.com. With Rich Tock at the Chicago Golf Show (L), Architect Greg Martin at work in his Batavia studio. Architect Greg Martin will join us to discuss the Jackson Park-South Shore project that has money and permitting issues, among other problems. Martin was quoted in the Chicago Tribune yesterday, in columnist Eric Zorn’s article, that suggests the Chicago Park District take a mulligan on the golf course project, and forget about Tiger Woods, and his design team working on the project. Golfers on Golf Radio Week 19, coming up at 10 AM. Join us on the tee.